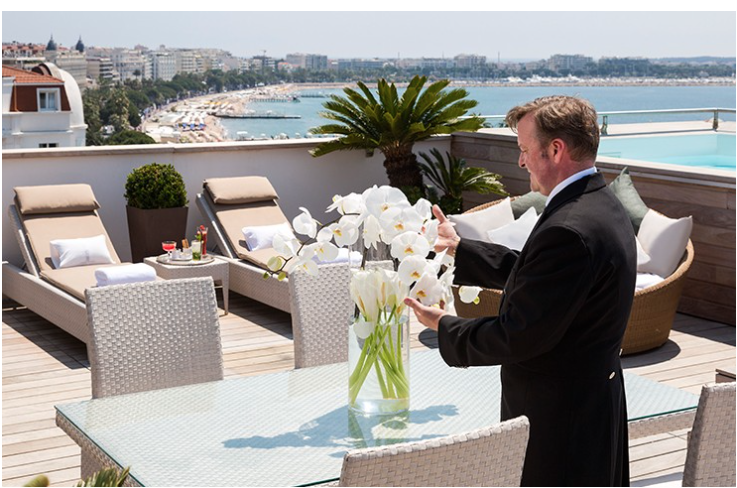 In March 2016, then portfolio holder for economic growth and high streets, now Group Leader, Clare Coghill travelled to Cannes in the company of LBWF CEO Martin Esom and ‘Assistant Director, Investment and Delivery’ Jonathan Martin, to attend Marché International des Professionnels de l’Immobilier (MIPIM), ‘the world’s leading real estate event for property professionals’. Their mission? To sell investment opportunities in Waltham Forest to the assembled movers and shakers. No record exists as to whether Cllr. Coghill et al. were successful, but it is surely significant that subsequently they have attended several similar events. The more jaundiced may see MIPIM as a rather unattractive jolly – with the so-called ‘Cannes Cannes express’ from Paris disgorging British participants into ‘real estate’s Glastonbury Festival’, a three day marathon for ‘20,000 boozing and networking property professionals’ – but to those who run Waltham Forest it appears to represent an important pathway to the promised land. So what exactly is the promised land? 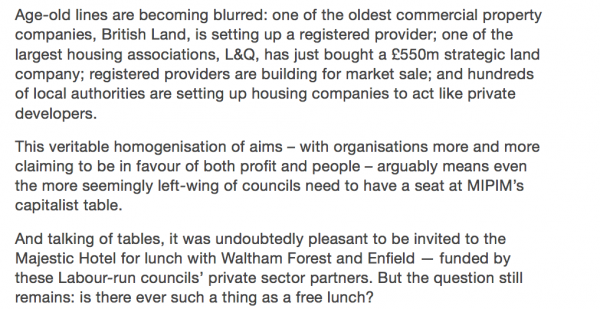 Well, over the past two or three years, LBWF quietly has been putting in place the policies and infrastructure which, it hopes, will kick-start large-scale commercial and residential development in the borough, and thus significantly boost the Town Hall coffers. The story starts in 2015, when LBWF engaged the strategic marketing company 3Fox International to develop a unique Waltham Forest identity, and then market it as widely as possible. Subsequently, 3 Fox International launched an online periodical, Invest Waltham Forest (IWF), distributed directly to over 5,000 ‘selected partners, investors, potential investors and businesses’; coordinated the MIPIM visits already noted; created a dedicated website; and ‘curate[d]…a programme of council led investment events’. Within a year or two, this activity had generated a long list of partners, including some very big players indeed, for example Hill Residential (‘a recognised industry leading housebuilder, providing quality, distinctive new homes across London and the South East’); Legal & General (‘one of the world’s largest insurance and investment management companies’); Bouygues (‘one of the countries leading construction companies’); U+I (‘a specialist regeneration and property developer…[w]ith a £6 billion portfolio of complex, mixed-use, community-focused regeneration’); Hadley Property Group (‘a privately-owned, residential-led property developer’); Bellway (‘one of the most successful house builders in the UK’); Countryside (‘Our business is focused on place making which we deliver through two complementary divisions, Housebuilding and Partnerships’); and Capital Regional (‘UK focused specialist property REIT with a strong track record of delivering value enhancing retail and leisure asset management opportunities across a £1billion portfolio of in-town dominant community shopping centres’). In parallel, LBWF was fashioning some innovations of its own, the most interesting being the creation of the wholly owned Waltham Forest Developments Ltd. (company 10593957), which aims to deliver ‘thousands of new, modern, quality homes, plus some retail and commercial property over the next 10 years, in and around Waltham Forest and east London’, and then offer them for rental, with tenancies ranging from six months to five years. 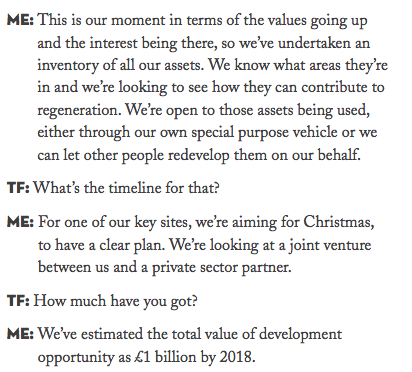 All told, these various initiatives have created a heady, almost frenzied, atmosphere, typified by this exchange between 3Fox International’s Toby Fox (‘TF’) and Martin Esom (‘ME’), reported in IWF issue one of September 2015: Is this excitement and optimism merited? At first sight LBWF’s re-orientation seems reasonable, even commendable. Responding to government cuts, LBWF already has drastically reduced its workforce, and pruned other expenditure, to the extent that there is little more fat left on the bone. The apparent advantage of sweating assets is that it seems relatively painless but promises to generate a large and sustainable future income, so shoring up existing budgets. And of course this is an option that a number of other local authorities have already chosen, so it is hardly a jump into the dark. That, in a nutshell, is the case for the defense. But there are also actual and potential downsides, which fall under the three broad headings of risk, transparency, and equity. Some of the risks associated with LBWF’s strategy are obvious. Property prices can fall as well as rise, and fluctuations are shaped by many factors, almost all well outside of local authority control. If developers are inevitably upbeat in public, behind closed doors they know very well that theirs is a risky game. LBWF’s vulnerability to changing market circumstances is increased by the fact that it must speculate to accumulate. Involvement in development requires recruitment of new staff with appropriate skills. Moreover, some fresh borrowing is unavoidable. For example, LBWF wants its own property investment portfolio to generate £2m per annum, which, ‘based on the proposed minimum return of 2% net of financing and other acquisition and management costs, implies investment of at least £100m’. There is no getting away from the fact that latter sum will have to be sought from so far unidentified external funders, and will of course require interest payments. A final set of risks stems from the possibility that there may be profound power imbalances between LBWF and its proposed partners, such that the tail may end up wagging the dog. One example is salutary. Under the law as it presently stands, when a development is proposed that has significant impact on its surrounding area, the relevant local authority may grant permission only on condition that the developer provides funds with which to mitigate the harm, so called Section 106 payments. This should be a fairly straightforward procedure, but when the LBWF Growth Scrutiny Committee recently investigated, it noted that ‘the s106 agreement drafted on [sic] the Walthamstow Dog Stadium development and some others were not as precise and robust as perhaps they could have been’ and concluded by urging ‘more transparency in where s106 monies were spent’. It seems reasonable to conjecture that the underlying difficulty here is the familiar one that staff employed in the private sector are better paid and supported than their public sector equivalents, and thus in any interaction are likely to hold the whip hand. Turning to the issue of transparency, it is worth noting to start with that development on the scale envisaged will inevitably generate vast quantities of paperwork, and this alone will hinder scrutiny. To make matters worse, LBWF historically has taken a conservative line on protecting data, and in future may well adopt a similar stance, for instance hiding behind that old chestnut, commercial confidentiality. Broader aspects of the situation are also unpromising. The various council scrutiny committees continue for the most part to be tame and officer-led. Few councillors engage in informed and sustained questioning. Officers are adept at avoiding controversy. LBWF itself spends a large amount on money on spin. Routine inquires from members of the public are rebuffed unless submitted under the Freedom of Information Act, and then sometimes sidestepped. Even established and well-regarded journalists find themselves thwarted (see for example Dave Hill’s piece, referenced below). Self-evidently, the danger here is that those involved in development will believe that they can do what they want, and if they make mistakes and miscalculations, feel confident that these will never be publicly outed – the antithesis of healthy accountability. The one chink of hope in this downbeat assessment is that LBWF’s recent Economic Growth Strategy 2016-20 foundation document promises to monitor 22 detailed indicators, and report on them at set intervals each year. On paper, this is a sensible idea. Nevertheless, the proof of the pudding will be in the eating, because though similar oversight was promised during the course of previous LBWF programmes, updating of monitoring data soon fizzed out or metrics were reconstituted, making the whole point of the exercise – the measurement of change across time – all but impossible. Finally, what about equity? Will the new developments benefit the borough as a whole, or are certain groups likely to be left out of the equation? Other evidence also puts LBWF in the dock. Housing is an obvious bellwether. LBWF claims that it wants no less than half of all new homes to be ‘affordable’. However, a table in its own manifesto of December 2015, Building for the Future. Delivering Housing for Everyone in Waltham Forest, which lists all the developments that were either underway or with permission granted, shows the percentage of ‘affordable’ homes at that stage to be a mere 21 per cent of the total. Nor has the position much improved subsequently. When aggregated, the three issues of IWF highlight ten major housing developments, with detailed information being provided about five. Focusing on the latter, the total number of homes to be delivered is 2,036, but of these only 541 or 26 per cent are designated as ‘affordable’. ‘Minutes of the meetings hardly ever reflect any disquiet, even when it is repeated multiple times. Had I not attended over the years, I would have been left with the impression that all parties involved are holding hands, singing ‘kumbaya, my lord…’. And, ever since I started sending them back corrected, the final set of minutes no longer appear on the council website, possibly in order to convey the false impression that the project is progressing nicely’. 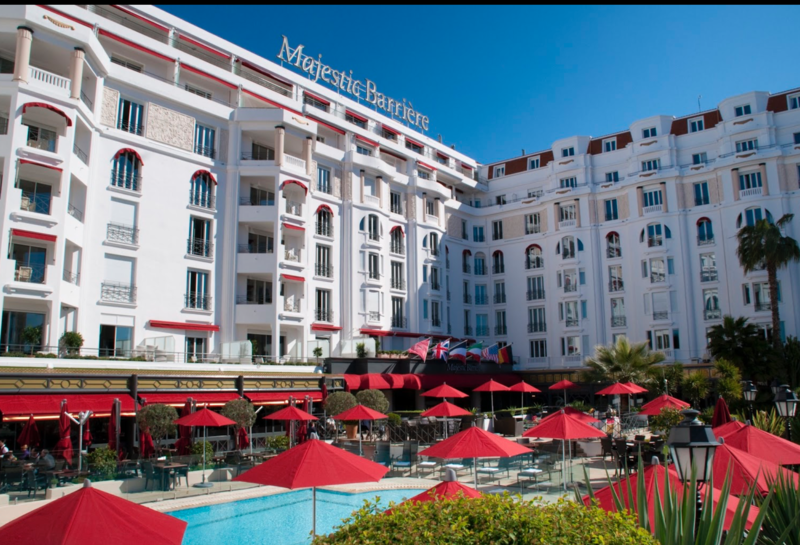 Readers will no doubt answer Mr. Johnstone’s question according to taste, but it would be remiss not to add that the Majestic is a five star hotel situated right on the front in Cannes, which offers ‘breathtaking and enchanting views of the Mediterranean’, and if the pictures below are anything to go by is rather nice. And it is worth emphasising one of Johnstone’s asides, that (as a LBWF report puts it) ‘All costs involved by attending MIPIM were covered by the private sector. The Council did not provide any costs for attending’. * As far as I can see, this phrase was (ironically) coined by Wandsworth Labour councillor Simon Hogg, when criticising his Tory-led local authority. 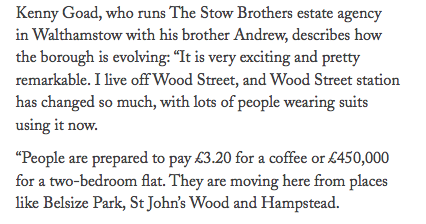 Michelle Edwards, ‘Life on the estate’, Waltham Forest Echo, December 2016. Michelle Edwards, ‘Minutes belie mutiny’, Waltham Forest Echo, April 2017. Nick Johnstone, ‘Dispatches from MIPIM – day 3’, Inside Housing, 16 March 2017.